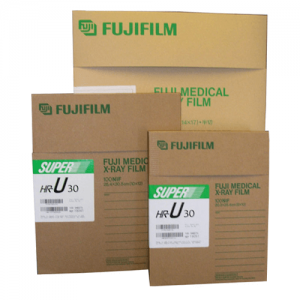 FUJIFILM FILM Archives - Hiliex Inc.
Fuji Super HR-U 30 is a high contrast, orthochromatic medical x-ray film for use with green emitting rare earth intensifying screens. The films inherent high contrast coupled with Fuji’s Sigma Crystal technology provides enhanced image sharpness makes Fuji Super HR-U 30 an ideal choice for general radiographic procedures. 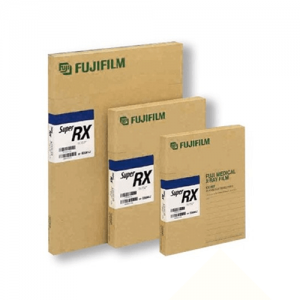 FUJI Super RX is a blue sensitive universal film with a wide tonal range for all types of applications. Incorporating FUJI FILM’s unique Sigma-LIC Grain and Cross-over Control Technologies from the highly regarded Super HR series, it provides exceptionally sharp, high contrast images with both automatic and manual processings. Its reliable image quality will greatly improve diagnostic capabilities.